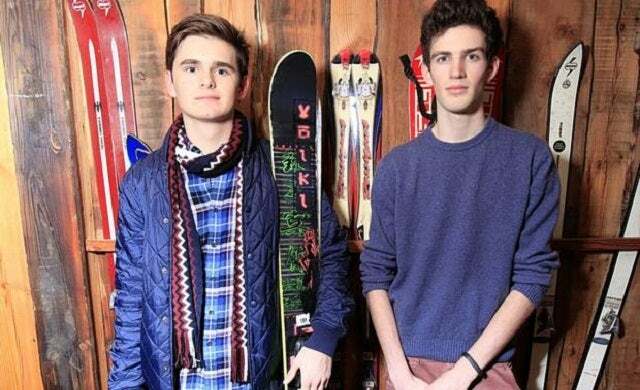 At just 17, enterprising duo Ed Hardy and Kit Logan are our youngest featured entrepreneurs – and they say that whilst their young age has been an “undeniable benefit” in making connections with people who wouldn’t normally be interested, it has also constituted a significant disadvantage. The pair became friends at boarding school, bonding over a shared love of skiing, and decided they could turn this enthusiasm into a business. After a previous failed venture, they came up with the idea for skiing app Edge, which they claim is the “ultimate mountain companion” – using GPS, Edge can track performance stats along mountain routes and allows users to challenge their friends, as well as find and review their favourite mountainside restaurants and bars. The app is free, too – funded by a smart revenue model that will see resorts and venue operators pay for the valuable metrics it collects, as well as hosting sponsored challenges backed by major brands. Edge has already raised venture capital in a seed round from various tech investors – most notably Frank Meehan, who has a considerable pedigree in tech having been on the board of the Siri app, a backer of Spotify, as well as being the lead investor in fellow young entrepreneur Nick D’Aloisio’s Summly app. These two ambitious entrepreneurs are certainly ones to watch closely over the coming year.